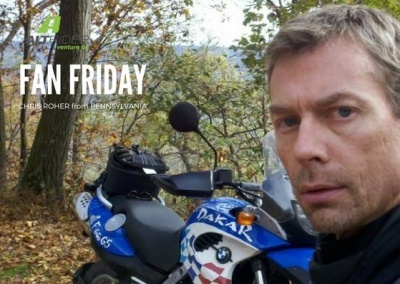 Our AltRider #FanFriday for this week is Chris Roher. Check out his story below and if you want to be featured, email Marcie at marcie@acorn-woods.com. 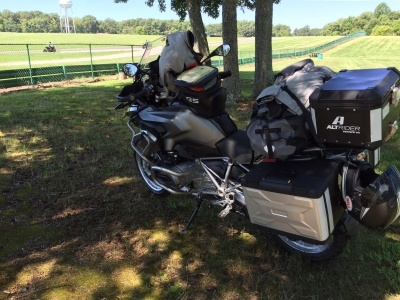 I first heard about AltRider in the spring of 2014 when leading an adventure ride on a 2014 BMWR1200GS bike from our shop: Velocity Cycles in Mechanicsburg, PA. The bike was equipped with the full kit, upper and lower crash bars, full length skid plate, radiator guards, foot stand enlarger, etc.. I was very impressed and bought a similar bike and AltRider kit. What I like about AltRider is the robust and heavy duty nature of the products, and the no-expenses-spared engineering. The isolated crash bar and skid plate mounting system to absorb harsh impact and the thick stainless steel tubing made it an obvious choice over similar looking product. Ultimately the product would be tested again and again on off-road trails and has withstood many low speed falls in all kinds of conditions. 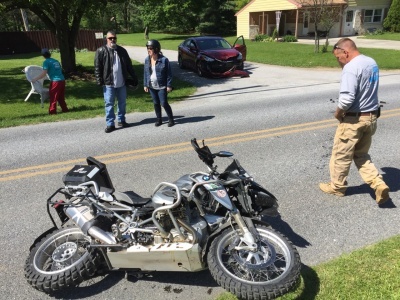 I'm currently riding a 2015 BMW R1200GS that replaced my 2014 R1200GS after I was hit by a car in May of this year. It has taken most of the summer to get that resolved and I just got the 2015 on the road last month. Now I need to equip it like the other one as it is currently all stock, so I have not ventured off road with it yet. This summer has been kind of a wash due to the accident but I just got back from a trip down the south east and have two more planned. We've been hitting the famously twisty and cleverly named roads along the east coast like Devil's Triangle, Deal's Gap, Tail of The Dragon, Moonshiner28, Diamondback226, Cherohala Skyway, SixGap, and others. When I get the off-road protection on the bike and things cool off here in PA I will get back into off-road ADV riding. 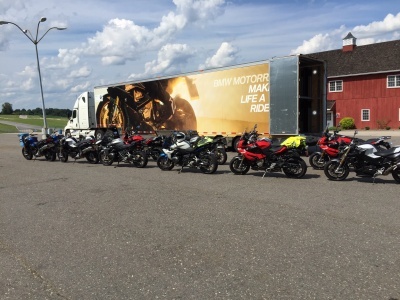 We also did several BMW corporate events like a track day and new model release at Virginia International Raceway with several guest instructors and educators like Shawn Thomas of Rawhyde fame, and Nate Kern of BMW's road racing program. Riding 4 of BMW's sportier models through the local countryside and then extensive on-track testing of the S1000RR. That was a great time and fun to dust off the racing leathers. Another event was the two-day BMW Off-Road Riding School in SC and that was amazing. I thought I was a pretty accomplished dirt rider on my GS, but increased my skills over 100%. Truly a must-attend school.